New. Chatto & Windus 1st Edition Hard Back (Sep 2013) 1st Edition 2 4 6 8 10 9 7 5 3 1. Top & bottom edges cover slightly curled. Sewn binding. Cloth over boards. With dust jacket. 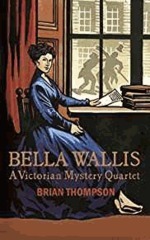 981 p. Bella Wallis Mysteries. Near fine in Near fine jacket. Near fine condition. Chatto and Windus, 2013. 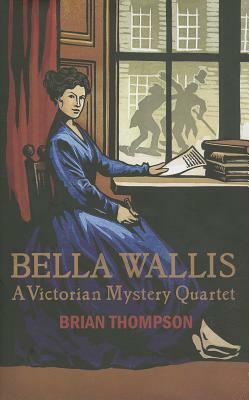 First UK edition-first printing (2 4 6 8 10 9 7 5 3 1). Blue hardback(gilt lettering to the spine, small nicks and crease on the edges of the cover and spine) with Dj(a couple of creases, small nicks and scratch on the edges of the Dj cover), both in near fine condition. Nice and clean pages as new with a small ink mark and nick on the outer edges, small nick on the edges of the pages. Nice and clean book with light shelf wear on the Dj cover. 982pp. Price un-clipped. Heavy book (approx. 1.1 Kg). First edition. Good in good dust jacket. Ex Library Book with usual stamps and stickers. Good condition is defined as: a copy that has been read but remains in clean condition. All of the pages are intact and the cover is intact and the spine may show signs of wear. The book may have minor markings which are not specifically mentioned. Most items will be dispatched the same or the next working day.